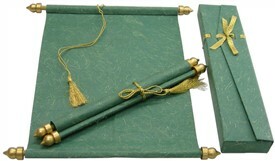 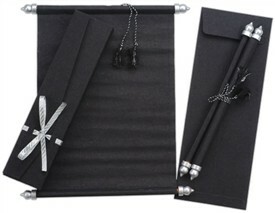 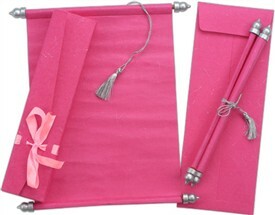 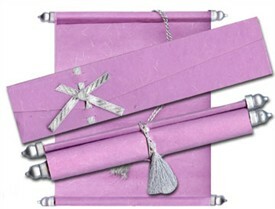 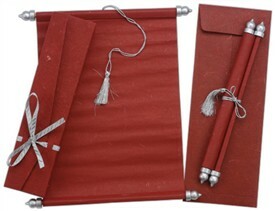 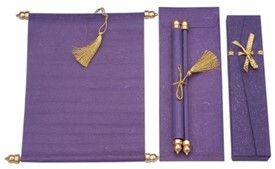 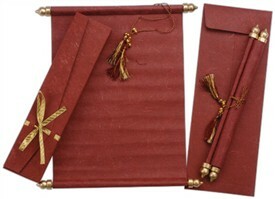 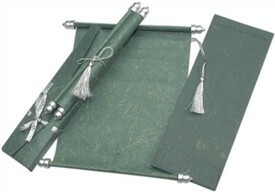 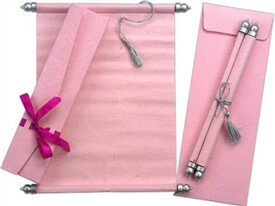 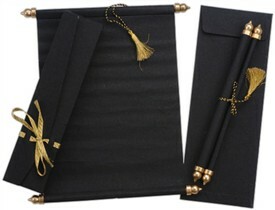 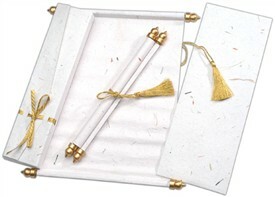 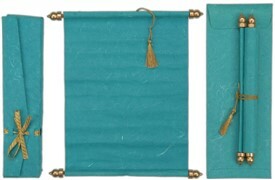 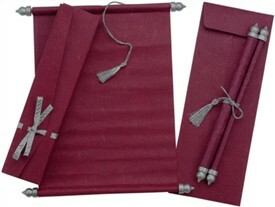 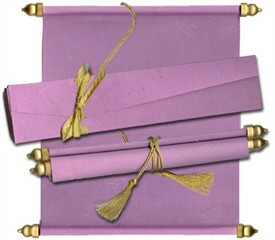 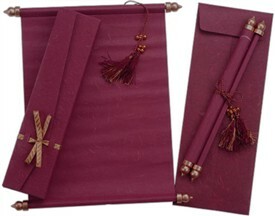 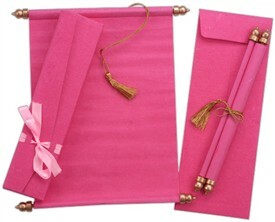 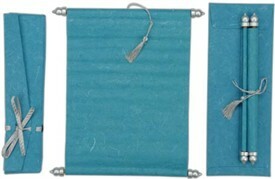 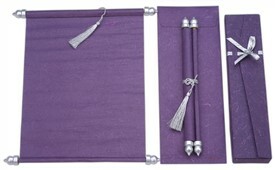 Description: The card has silver colored tassel and bars. 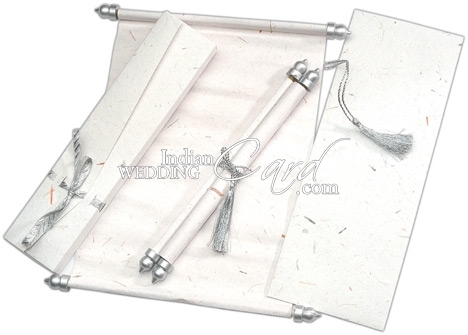 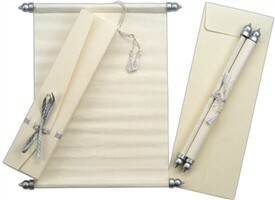 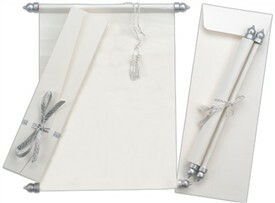 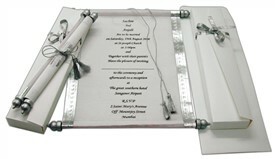 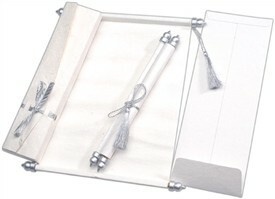 The envelope is plain and the box envelope has the silver ribbon. 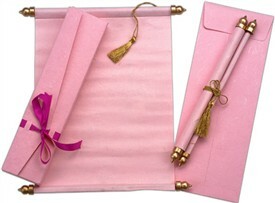 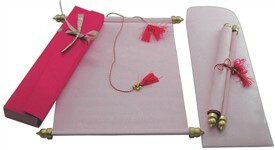 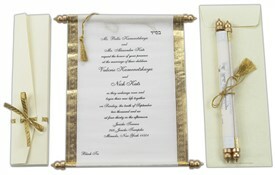 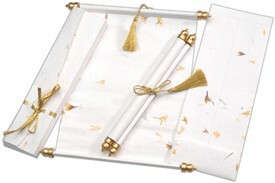 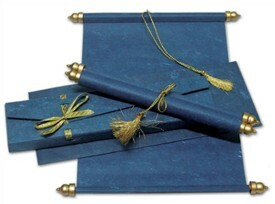 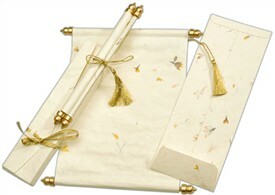 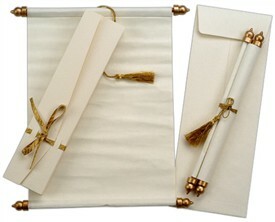 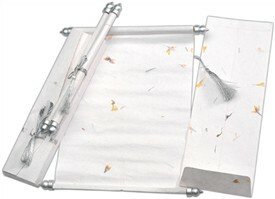 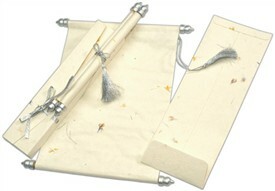 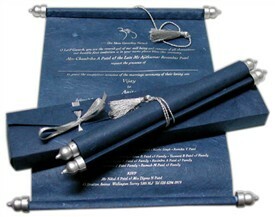 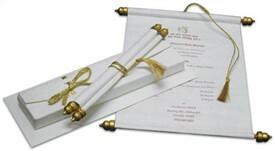 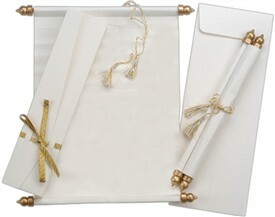 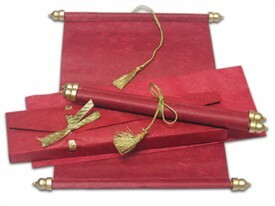 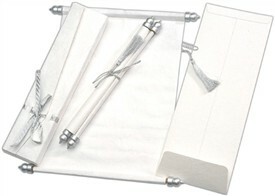 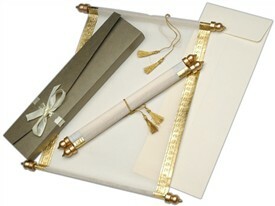 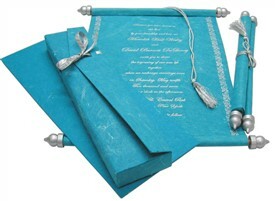 Paper: cream - colored handmade paper, Box envelope (200gsm) envelope (100gsm) and scroll (100gsm). 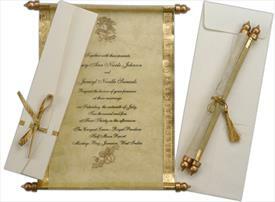 Printing Color: Silk Screen Printing in Silver or any dark color of your choice.